This morning some hateful people came from Kansas to harass students at an elementary school and antagonize parents and school officials over a bulletin board display that discussed gender issues. It turned out to be a gorgeous (if slightly chilly) morning, and a fabulous day. 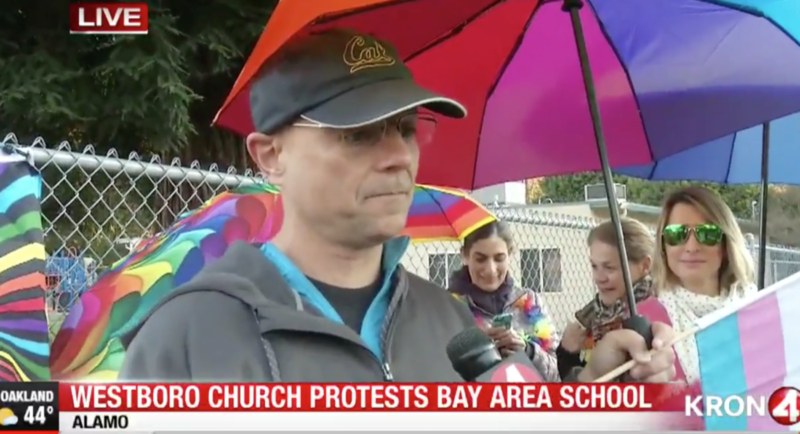 Not only because there were twice as many sheriff personnel (eight by my count) as hatemongers (four that I saw in this NBC video), but because the rainbow umbrella shield created by parents and community members, to express support for and to protect all children, was so astonishingly robust. More than 20 showed up before 7 a.m., and I’d guess about 120 of us were there at the peak. I heard singing. I heard a ukulele. 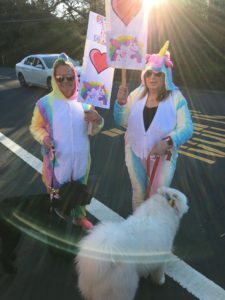 I saw two people in rainbow-colored unicorn costumes, with two dogs–one black and one white. 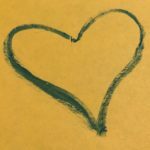 I heard laughing, chatting, and a lot of kind people meeting each other for the first time. 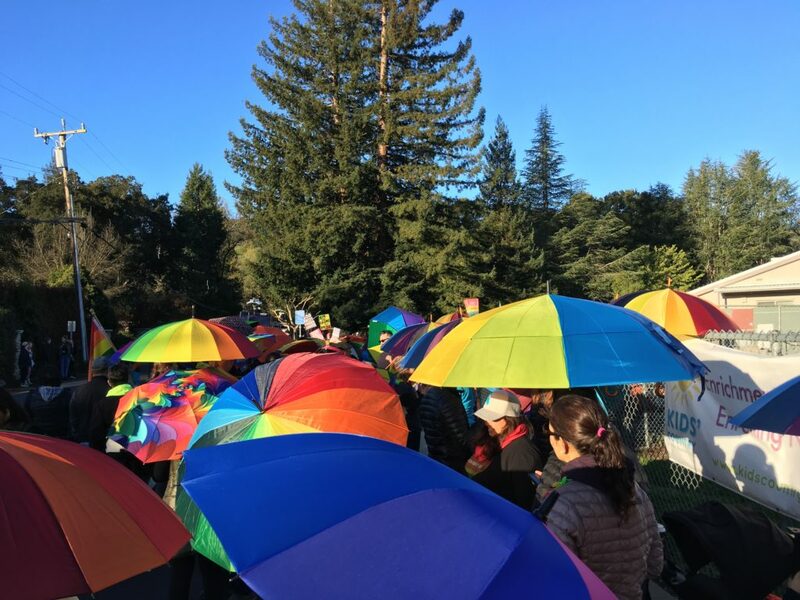 The organizer, the school and district authorities, and law enforcement officials did an outstanding job of making the hatemongers’ morning a total nonevent. 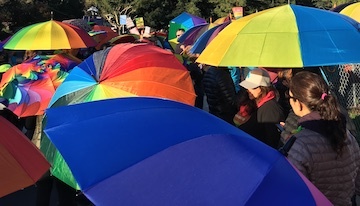 But they made our morning one to remember by bringing so many kind, loving, supportive people out to let all kids know they matter. This is really how a show of support should look when hate comes to town. Also, I was interviewed on live TV. I show up at about the 1:13 mark.